Guys. I found a little secret. It’s called Big Lots. Don’t judge. If you’re interested, make a pit stop there because they have pre-baked square pizza crusts, which I use to make flatbread. It’s as easy as it gets. 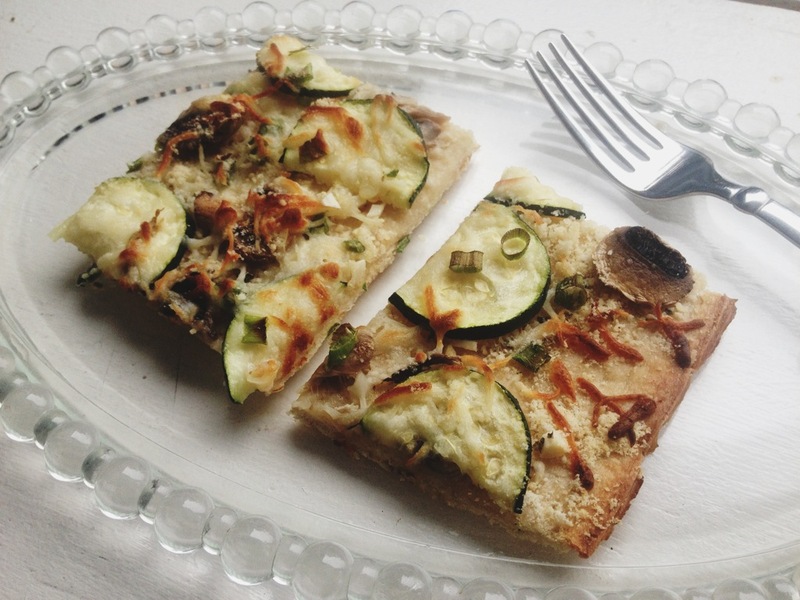 When I made Mozzarella Zucchini Flat Bread, here’s how it went down. I just chopped some zucchini, scallions, mushrooms. I “painted” my crust with olive oil. Because it’s more fun than “brushing” the crust. Sprinkled with oregano, parmesan, garlic, salt, and pepper. 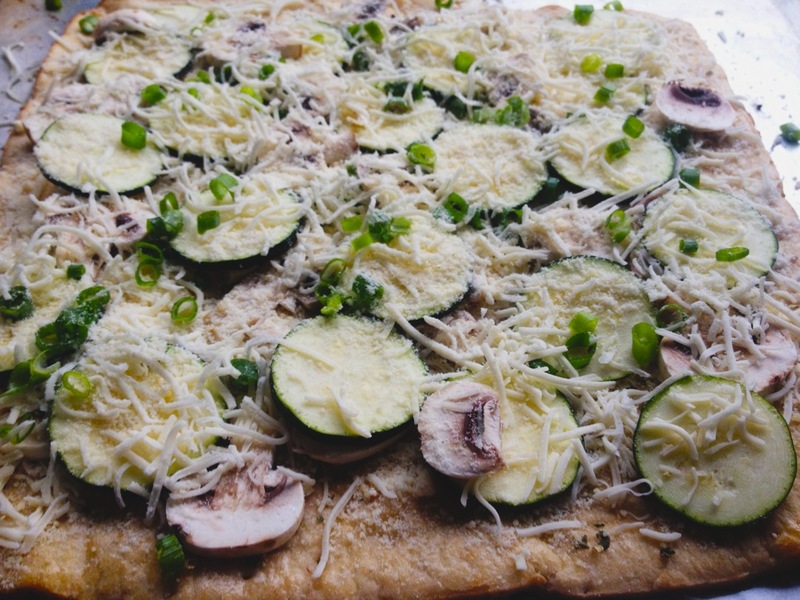 Then I spread out the zucchini mushrooms and scallions, topped with a light layer of mozzarella. 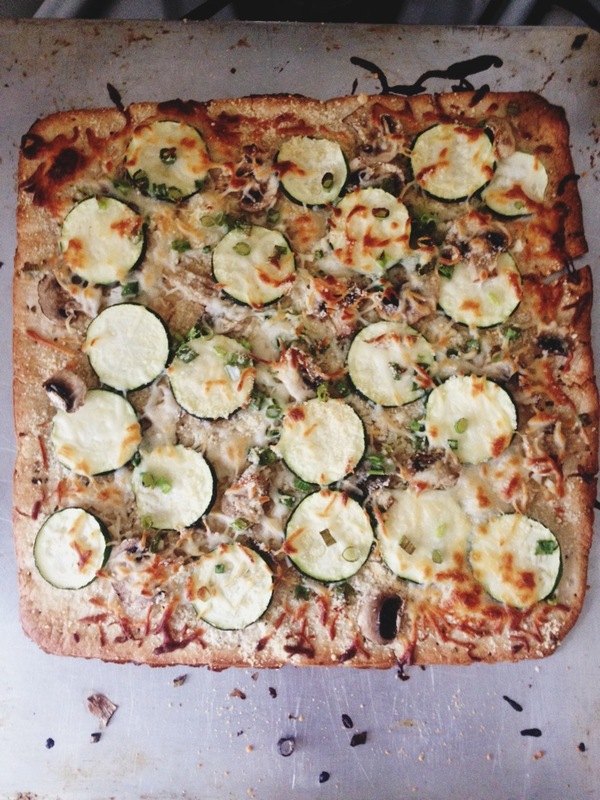 It should be a lighter layer than a typical pizza. 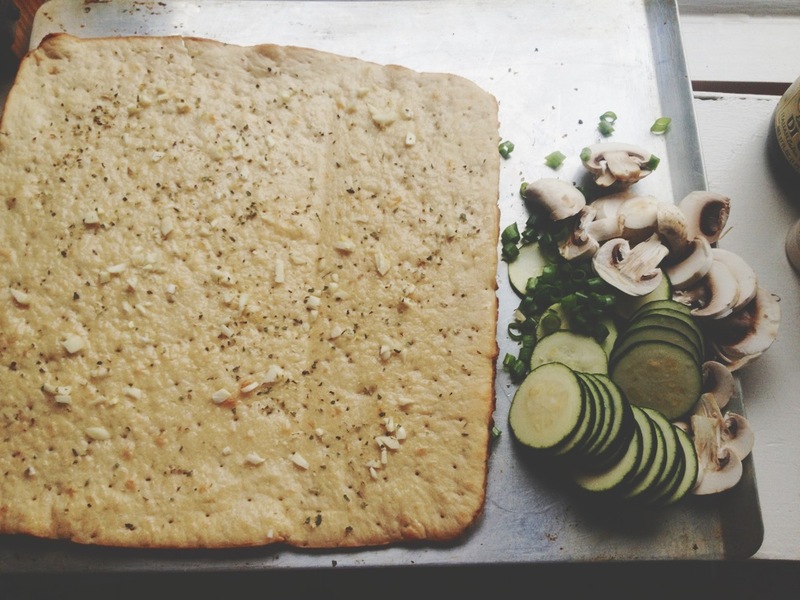 It keeps it flat bread-y versus pizza-y. I baked it at 450 for about 10-15 min and it came out like this.